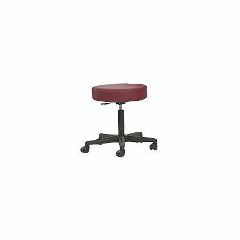 Custom Craftworks Premium American-made Rolling Stool is hand upholstered and custom produced for a perfect match to your Premium Custom Craftworks massage table. Its details include a five-star base with heavy-duty casters and pneumatic controls. Available in 10 standard colors and 5 Upgraded Extra-Soft Natual Touch Colors(Amethyst, Ebony, Jade, Ivory, and Sapphire).